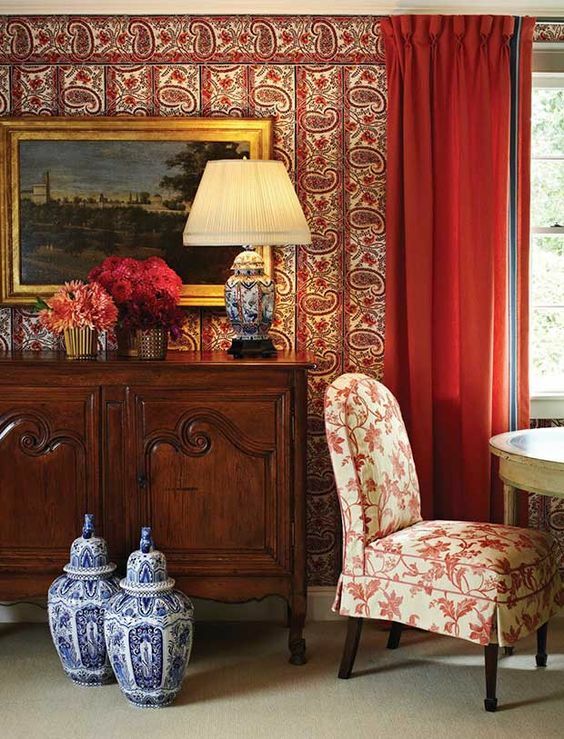 A lovely interior by Charlotte Moss combines red paisleys with blue and white Chinese porcelain. My home is filled with reds and blues so I particularly love this image. I would love to know if the walls are covered with fabric or wallpaper. The paisley is so, so handsome!